Thank you for participating in Digital Learning Day 2019! Thank you for participating in the Digital Learning Day fun by watching our digital citizenship video or participating in our keyboarding challenge. Check out our digital citizenship and keyboarding lessons throughout the year! Explore our keyboarding demo throughout the year and see how our digital learning curriculum can help your students. See how students using Keyboarding Without Tears are better prepared for digital communication. Contact us to see how we can easily fit in your classroom. You need a program with proven results. The proof is in the numbers. 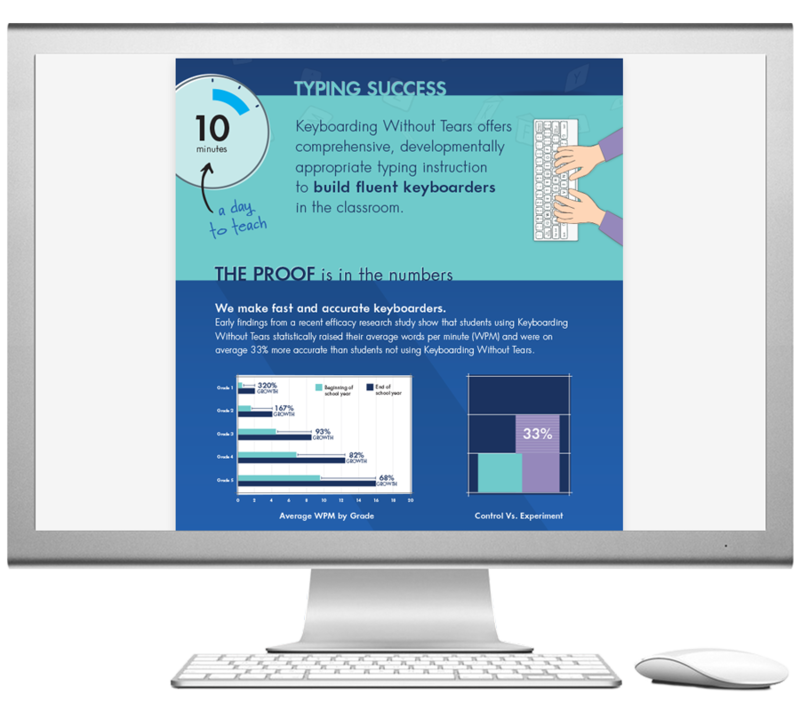 Learn why Keyboarding Without Tears is a proven success in teaching keyboarding. Download our infographic and full report.